The mighty U lock has long been the best choice for safely securing bikes thanks to its simple design, solid materials, and rigid parts. 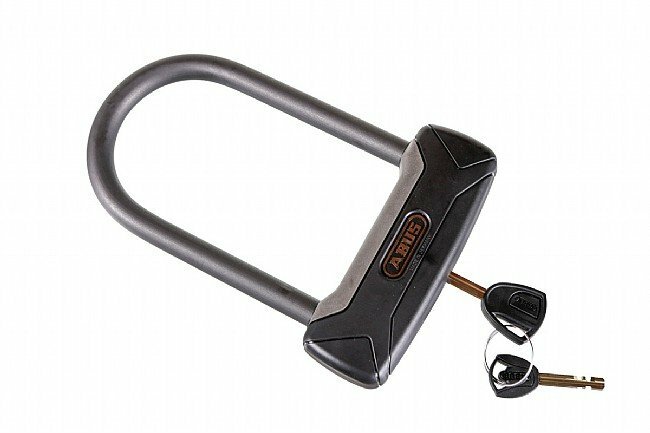 Abus brings a very efficient, German approach and advanced engineering to the u-lock market, offering low weight yet robust security.The 6-Inch Granit 640 Plus features a 12 mm-thick (0.47 in) hardened steel shackle that increases the lock's security to a 12 on Abus's 1-15 scale, yet it’s lighter than its predecessor thanks to lightweight yet strong hardened steel that reinforces critical areas. The upgraded locking mechanism bolts 4 times into the lock body (2 times per shackle side) to provide excellent protection against twisting/torsion/cutting, while still offering great feel and comfort when locking. Weight: 900 g (2 lb). Includes two keys and Abus Code Card for an additional replacement key.